The airlock is dark and silent as a temple, perhaps one dedicated to technology. As I enter, it has the calming effect of a prayer. It’s still early but I’ve already been up and about for an hour. After shaving more carefully than usual (I don’t want to have any cuts on my head or face), I have a particularly big breakfast – there’ll be no lunch today. Then I turn to Chris, and he must have been able to read the question on my face, because he answers even before I have time to speak: “Yes, let’s do this”. In other words, it’s time. The first step towards an EVA is a very long series of procedures, all designed to keep us safe. After putting on a sub combination (a sort of underwear that covers us from the neck to the ankles) and the LCVG undergarment (Liquid Cooling and Ventilation Garment), we breathe pure oxygen for about 40 minutes to remove nitrogen from our bodies. Meanwhile, the team on the ground takes us through a series of checks on our EMU (Extravehicular Mobility Unit) suits. We carry out these out meticulously; even though I have followed these choreographed steps so many times on the ground during simulations, now it’s for real and I will soon depend on this cumbersome suit to survive outside the Station. In space. This is such an incredible idea that my brain doesn’t stop to dwell on it, and instead I focus on the activities underway. Time goes by in a flash, and suddenly it’s time for one last snack before we put on the suits. For around 9 hours, I won’t be able to eat anything. All I’ll have is a plastic straw that will allow me to drink while I’m outside. Putting on the space-suit requires considerable physical effort, especially for the top part. The torso section is stiff and tight, especially for me because I chose a smaller size in order to be more agile. And I will be more agile but the price I pay is having to contort my arms and shoulders while pushing with my feet as hard as I can, until my head fits through the metal collar and my hands pass through the wristbands of the suit. Karen and Chris attach the lower part of my space-suit (the “trousers”) and then it’s Chris’s turn to make a similar effort to get into his suit. As carefully as she can, Karen locks the helmets onto both suits and blocks them, sealing us inside. Then we’re on to the second stage: the desaturation procedure, during which time the suits are flooded with oxygen and the airlock is brought to a pressure of 10.2 psi. While this is happening, Chris and I go over the procedures that we will follow for the umpteenth time, focusing on every aspect of the exit, every movement and every detail of what we are about to perform. The checks continue as planned and the suits are in perfect working order. This is confirmed by Houston, who are following everything via telemetry, even our biomedical data. Fyodor arrives to help Karen to install our equipment and to help us enter the sealed chamber itself. This area, slightly larger than the two suits we are wearing, must accommodate not only us but also all the tools to be used for maintenance work and instruments that need replacing. I turn on the pump to depressurize the environment to 2 psi; Karen then opens a valve to vent the rest of the atmosphere. I seem to be aware of everything going on around me and it feels as though I’m watching everything in slow motion. Suddenly, I realize that the cacophonous metal din coming from our floating tools has vanished. Sound isn’t travelling anymore and even before Chris tells me, I know that depressurization is complete: we are out in space. With his characteristic calm, Chris opens the hatch and I have my first view of Earth rolling beneath my eyes. My visor is the only thing both separating me and protecting me from the blazing light. The crystal blue is hypnotic, but there is no time to stop. Chris is ready to exit and he’s out in a few seconds. It’s my turn now. With rehearsed and methodical composure, I perform every movement like a dancer follows his choreography, but I’m not looking for the final applause – I just want to be sure I don’t make any mistakes. When Chris tells me, “OK, you’re out!”, I know he has a smile on his lips, even though I cannot see him because we both have our gold visors down. It’s daylight, and the light is so pure and bright that it hurts. Suddenly, Chris is gone, and I close the insulating cover that protects the inside of the airlock. Houston tells me that I can take all the time that time I want to adapt, but I have other plans: I’ve already decided that I’ll adapt while I move to my destination: ELC2. And as soon as I start to move, I realize that I’ll have no problems: I feel fine, relaxed – in my element in an environment which should feel totally alien to me. Instead it feels almost familiar. Hundreds of hours underwater have had the desired effect. As I move, I see North America pass under me, tinged with the light of sunset. I feel so good I can’t stop myself from smiling. But my smile doesn’t last long. When I get to my planned location to anchor the first of the two self-reeling cables that secure me to the Station, my eyes start burning as if I had rubbed them with soap and they become very watery. At first, I don’t understand what’s going on: tears are pouring out of my eyes and it stings so much that I can’t keep them open. I decide to stabilize myself for a moment to think. I shake my head from side to side – in orbit tears don’t roll down your cheeks, they just accumulate on your eyes. Then I understand what is happening: during our preparations, we cleaned the inner part of the visor with an antifogging agent. Because of the low pressure, the product had evaporated and it must have gone into my eyes, irritating them. I know that the effect will last a couple of hours and that there’s nothing I can do. I resign myself to the burning sensation and I have to shake my head time and again to make the tears stop. Following the route I studied so many times, I find myself at ELC2, the platform for experiments and equipment installed on the trellis on the right: a huge structure located on the side facing black space. It’s already dark and as I climb I am conscious that at this very moment, I am the furthest man from the surface of the Earth, especially when I find myself “upside down” to take pictures of the two experiments that I have come to collect: ORMATE and PEC – two platforms of materials exposed to the void. To remove them, I have to use my pressurized gloves with the utmost dexterity. Each time I bend my fingers it’s like squeezing a tennis ball, and I’m very careful not to wear my hands out. 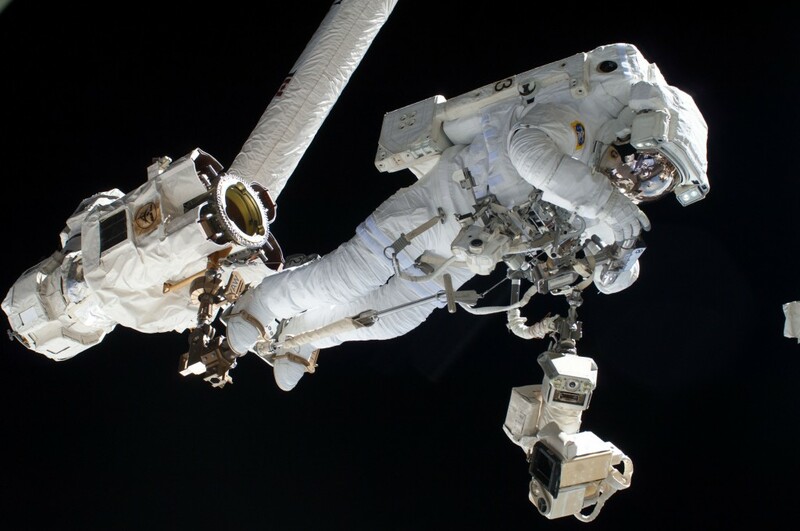 Opening one eye at a time – they are still watery – I manage to dismantle the two platforms and place them on my space-suit to bring them back inside. Shane, our radio contact from the ground, tells us that we are 20 minutes ahead of schedule and this gives me a lot of confidence while hooking the two experiments inside the airlock and taking the tools I need for the next task, which is to install the APFR (Adjustable Portable Foot Restraint) on the Canadarm2. Installing the APFR and ingressing into it goes smoothly but even so, before I give Karen the OK – she is at the commands of the robotic arm – to move away from the structure, I ask Chris to confirm that my feet are properly fastened to the platform: they are the only thing keeping me attached to the Canadarm! While the arm moves to the first of several repositionings, a display of incomparable beauty unrolls before my eyes: dawn in space. The colours absorb the black, white and grey at incredible speed in a chromatic explosion. We are flying above north Africa and red, yellow, purple and ochre fill my eyes with wonder. For the hour and half that follows, I am transported from one side of the Station to the other by the robotic arm, both in automatic and manual mode, always with Karen at the controls. The task consists of taking two huge RGBs (Radiator Grapple Bar) from their temporary location to install them at their permanent one. Between stages, I uninstall a broken camera to take inside at the end of the EVA. In what feels like an instant, it is time to free myself from the arm and return it to its initial state (by removing the APFR). Then I move to the “tip” of the ISS, the PMA2 – the old Shuttle docking point, which needs to be protected by a thermal cover. According to our plan, this task requires two astronauts because of the difficulties encountered on the ground in managing the cover. But Chris has hit a problem: while installing an electrical cable, he has to muster all his force to connect the ends to the structure of the Station. The cable has been rolled up for about 10 years and is now reluctant to straighten out, so Chris tells me he will need more time. I will have to take care of the cover by myself. Galvanized by the challenge before me, I almost forget where I am: just at the prow of the ship, and with the whole ISS behind me! When the sun rises once again I am almost overwhelmed by what I see. But there’s not a moment to waste because the job requires my full attention as I move from one side of the PMA2, unfastening myself from one place then attaching myself immediately to another. My hands are getting tired, because I have to keep moving the cover to secure it to the structure. I have no idea how long it’s going to take me, but when I finish we are still ahead of schedule. I have a sip of water, then I retrieve two of the containers we brought out with us and return them to the airlock. I install a third container that will stay outside for one week: we will bring it in during our second EVA. Chris finishes his last job, a precursor to one of my tasks next week, and I reach the entrance to the airlock. Before ingressing we can’t help but snap a few photos. Then I turn around for one last look at Earth, suspended like a jewel in the velvet blackness of space, before entering the airlock. Within a few minutes, Chris is also back inside and we are ready to close the hatch. It’s all over in an instant. It’s been 6 hours and 7 minutes. Una esperienza la tua che , condivisa con noi, ci ha fatto sentire meglio, ci siamo ”sentiti”figli di un Dio..e lassù nello spazio forse lo hai incontrato! Grazie Luca e tanti auguri..
Grandeeee! Sei un grande uomo, siciliano ! Thanks for this, Luca. What you do really matters. We know you’re writing this during your free time and we truly appreciate it. All the best for you! It’s also a pleasure for me. Thank you so much for sharing your amazing experience with us! I can’t wait to read your description my Year 2 computing class (7 and 8 year olds)who are learning about space this term. They will be so fascinated by the process and the beautiful pictures you have posted. Ciao Luca, bevete acqua “pura” o con sali minerali aggiunti? It must be the most extrordinary feeling to be outside the ISS, in space, and be able to look ‘ down’ on earth. Luca….GRAZIE! Vivo attraverso le tue parole quello che avrei sempre desiderato vivere di persona..Sei testimone di un sogno e di una passione concretizzata, frutto di lavoro intenso, impegno fisico e intellingenza estrema. Il tutto è condito dalla tua poesia…un abbraccio e un grazie dal “gioiello nel velluto nero dello spazio”! Ciao Luca, grazie per il tempo che ci dedichi. Quando le masse dei vari strumenti vengono spostatedurante un’EVA la ISS si destabilizza? Come fa a tornare sulla rotta in parole povere? sei come l’incarnazione dei miei sogni anche se non ho potuto concretamente fare la tua esperienza di aviatore e di cosmonauta. Dio benedica te, la tua famiglia e tutti coloro che stanno sostenendo la tua importantissima e preziosissima missione. Un saluto a Levi, Rivka e Luisella! E a te, ovviamente. sei per me un esempio di perseveranza, ho apprezzato molto la tua dedica finale. 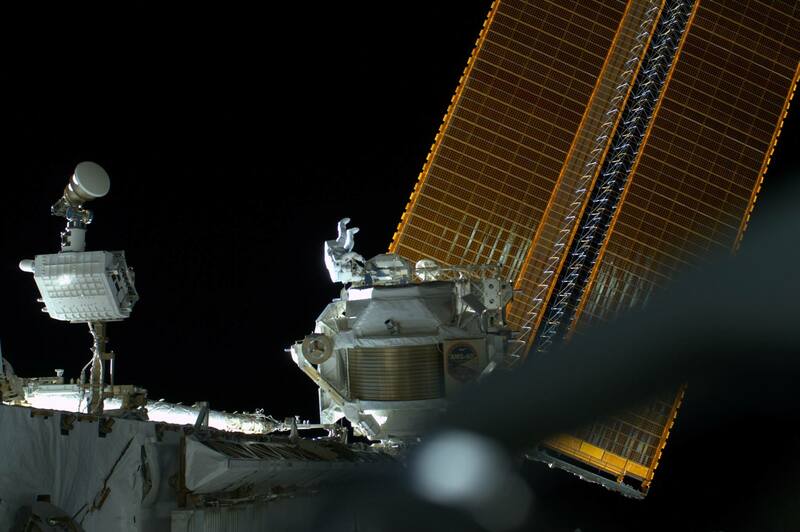 What an amazing report of your EVA… I kept an eye on you while you were out there, but I feel privileged reading you. THANK YOU SO MUCH for sharing your impressions and feelings with us! thank you so much for sharing this, Luca! it’s given me goosebumps imagining from your words and the images how it must have been to be there in space, attached to the Canadarm only by those straps. lots of good wishes for all your time on the ISS and for your next EVA. looking forward to your next posts (and all your tweets)! Luca- thank you so much for sharing your incredible experience with us! I always dreamed of being an astronaut when I was younger, especially wanting to go to the moon. The *only* thing I knew I wouldn’t be willing to do is space walk. Floating free has to be the most mind blowing experience. I’d be OK if contained in a vehicle, but not being that vulnerable outside it. You are SO brave! And you are rewarded with the most spectacular views of our beautiful planet. And, I’m sure also of the moon. Congratulations on a job well done. God bless you on all your fantastic journeys. Hello “NASA” I am very pleased to see you in the “SPACE” you deserve it. How did you feel when you saw, coming out of the ISS, under you our “EARTH”. Ciao Luca! Grazie di tutto !!! Sai trasmettere molto bene le tue emozioni e confesso che le lacrime hanno sopraffatto anche me alla fine del racconto. Il miracolo della vita sulla Terra a quella distanza appare in tutta la sua sconvolgente bellezza. Si comprende la fragilitá del nostro mondo e quanto sia importante difenderlo dalle barbarie. Hi Luca many thanks for your great job. The space for many people is only black or blue, but with your words and photos change completly our vision of this universe. Grazie per questa straordinaria esperienza, sei un Orgoglio Italiano! Sogno anch’io un giorno di arrivare tra le stelle, o come minimo di rimanere al suolo ed aiutare i migliori! Mi infondi coraggio ogni giorno che passa, grazie! Ciao Luca, come stai? Oggi ti ho seguito in diretta durante la tua passeggiata spaziale, ho avuto un’attimo di smarrimento nel vederti li fermo e il tuo collega che ti chiamava, vedere il suo dito sul tuo casco e tu che non rispondevi, ma dopo qualche minuto hai ripreso a lavorare, che gioia. Grazie per la foto sull’Abruzzo, si vede anche la mia città, Vasto, fermati la prossima volta che ci facciamo un buon “brodetto di pesce” specialità vastese. Un saluto, Giuseppe. As a child, I grew up with the dream to be, one fine day, the one sporting our flag among the stars, and to smile my joy to the Earth beneath. My life went elsewhere, but I still have that fire in me, which gives me tears avery time I see a rocket going up, where so few have been up to this moment. And that fire burns and hurts, just because you cannot pretend not to have wings, even if life didn’t allow you to spread them and fly. But now, I feel somewhat more at peace, because I can see with your eyes and pretend, just for a second, to be there. I want to thank you because, despite your duty requires the strictest attention and coldness while performing tasks, you have not abandoned your heart on the Earth. It is with you and we can feel it in the things you do and write. And since you give to us a piece of your heart every time, we can all have wings and fly. ciao, dimmi stare nel aria, e come stare nel fondo del mare? Es fantàstico tu relato y màs fantàstica aùn tu experiencia. Leerlo e imaginarlo para mi, es como un sueño. I loved reading about the EVA as you experienced it. I watched on NASA TV, too. It was exciting to see you work. There were many of your new peers chatting about Volare at #ase26. Thanks for taking the time to share with us. Ciao Luca sei una stella in più in cielo. La più grande e la più bella. Il nostro orgoglio italiano. Seguo sempre le tue imprese nello spazio. Grazie Luca. Sei la stella più bella di questo cielo italiano. Grazie Luca. Thank you so much for writing this. I love the emotion that you express so much. Truly a brilliant blog! Grandissimo lavoro Luca, ti abbiamo seguito con impazienza ed entusiasmo dal sito dell’Esa. Grazie per le foto ed il continuo aggiornamento che proponi ogni giorno. Buon proseguimento in questa spettacolare avventura. for sharing your experiences with us! Hopefuly, one day we will work together! Luca, sei l’orgoglio di tutta la sicilia. sono sempre con te ,caro Luca! sei grande! Grazie Luca! Non ci sono parole per descrivere le emozioni che ci trasmetti. Stavo proprio cercando qualche post a riguardo, ed appena l’ho trovato l’ho letto tutto di un fiato. Bellissimo e coinvolgente. Grazie. Magnifica descrizione…..e domanda banale : perche’ il nome Eva? Luca we hope you get well. Forza Luca!! Attraverso i tuoi occhi ho visto il mondo “unico” di cui parli. È vero: ci si affanna e si lotta per cose che già abbiamo; se solo si riuscisse a vederle anche con il cuore, sapremmo che tutto ciò che vogliamo lo abbiamo già. Un grazie immenso per averci dato la possibilità di condividere in diretta questa straordinaria esperienza. Sei veramente un orgoglio per tutti noi. Buon proseguimento e un augurio dal profondo del cuore. GRAZIE.sei un orgoglio per l’Italia e per la nostra SICILIA.la spiegazione di ogni dettaglio mi ha affascinato,e complimenti per la tua capacità poetica!sentire la tua dedica con accento siciliano mi ha emozionato! complimenti! E’ stato bello leggere ” A passeggio nello spazio”. Fai modo che i tuoi racconti continuino ad entusiasmarci e ad emozionarci anche dopo il ritorno a casa. Ciao Luca , ti ho sentito e registrato lo scorso 27 giugno dalla iss , durante un tuo contatto con una scuola sulle nostre frequenze H.A.M – 73 Raffaele ( IH9YMC) isola di Pantelleria . 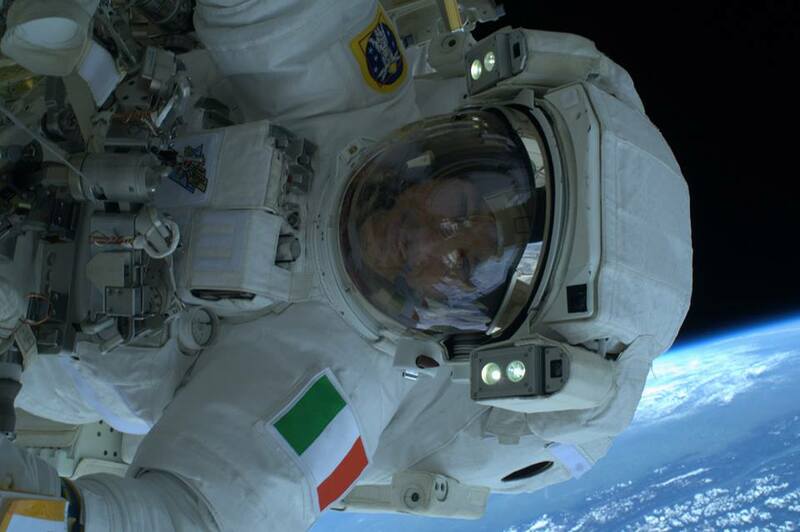 Mai come prima d’ora grazie a te lo spazio e’ stato così vicino, alla portata di un click.. Grande Luca Parmitano uomo, astronauta,italiano! Beh,che dire?Mi sono fatta una passeggiatina pure io. Leggere quello che racconti e soprattutto come lo racconti, ti proietta dentro un film, in un altra dimensione.Fantastico!! Spero ben sia il primo ( capitolo) di una lunga serie e quando torni da noi quaggiu’ potresti iniziare a imbastire un bel libro. Che ne dici? Grazie di condividere questo sogno con noi!!! Ormai ogni parola si spreca nel commentare qualcosa donataci da te, da voi, da lassù.. Sappi che ogni cosa, anche la piu’ piccola che fai per noi, è qualcosa di enormemente grande per noi da quaggiù.. Sei il nostro orgoglio, Luca! Salutami Karenn…. 🙂 buon lavoro! It’s so beautiful to hear the way you described this first spacewalk. Thank you for sharing this experience with us! We have ‘Nasa TV’ updates about the ISS recorded in DVR every day, so we catch up with what you’ve been doing when we get home in the evenings. We miss you but feel that you are blessed to be performing this work that you so clearly love. 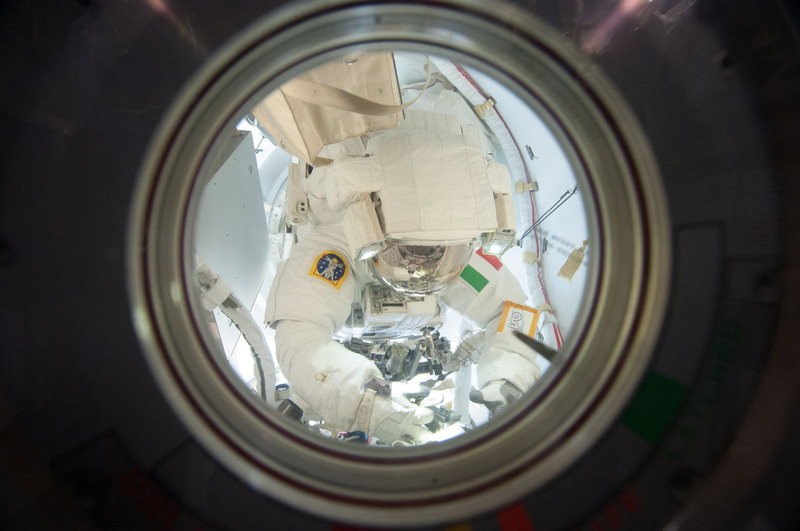 After watching the nail biting experience of your second spacewalk today, we are grateful for your grace under pressure and for the wonderful teamwork your crewmates (both ground and station) exhibited to bring you in safely. Stay Well, from your family on the ground. Hello! I can’t believe you read this, thanks! Here is the bavarian radiostation in Munich (program bayernplus). I told our listeners, that in a few minutes the ISS will cross Bavaria. So best regards from Munich and a bavarian SERVUS! up there to you! With bavarian folk music 😉 Tanti saluti! Semplicemente fantastico quello che sto vivendo in diretta con te… Grandi emozioni… Grazie!!! – Ma quando uscite dalla ISS per la “camminata spaziale”, dovete stare legati in qualche modo (tipo qualche cavo) alla stazione spaziale? – A volte ho visto nelle inquadrature esterne della ISS piccoli oggetti luminosi che si muovono a grande velocità… cosa sono? detriti spaziali? Ciao! Dio vi benedica e vi protegga! Sono stata talmente catturata dal tuo racconto che mi sembrava di essere li, era come essere accanto a te man mano che descrivevi i vari passaggi. Grazie e buona continuazione spaziale. non ci sono parole per descrivere quello che sto provando…. 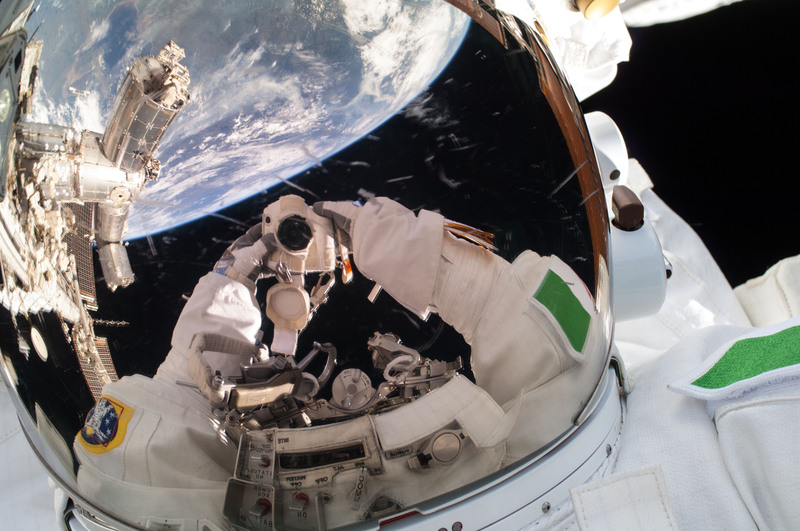 con le tue foto e i tuoi tweet sono nello spazio….. Grande!!!! hai fatto appassionare anche i miei figli di 10 e 4 anni che ti seguono con grande interesse. Infinitamente Grazie e saluti dalla tua Sicilia. Buon lavoro e buona passeggiata. Splendido racconto letto dall’inizio alla fine. Sei anche bravo Luca a descrivere il tuo lavoro nello spazio che sembra di viverlo con te. Fino ad ora il mondo spaziale non mi era mai interessato come adesso è questo grazie a te,tant’è vero che sto coinvolgendo i mie amici a condividere l’emozioni che mi hai trasmesso seguendoti in questa impresa straordinaria.Bravo Luca continua così insieme a Chris e tutta l’equipe. mi fa piacere sapere che ti stia appassionando. Ciao! Grazie Luca, ci hai fatto vivere tutte le tue emozioni e le tue esperienze e ogni giorno ci regali delle meravigliose visioni del nostro pianeta visto da lassu. Ciao Luca, sono Rosetta e ho appena letto il tuo resoconto! Ma scrivi anche bene, oltre a tutto il resto. Io mi sono appassionata seguendovi e vi continuo a seguire con crescente e costante stupore. Veramente ci fate sentire come se fossimo lì con voi e insieme a voi, noi ci emozioniamo, ci spaventiamo e ci sorprendiamo! E’ bellissimo questo, grazie. Ieri nella tua seconda passeggiata spaziale che ha rappresentato comunque un grande evento, mi è parso di avere visto il tuo orologio che riflette il casco che a sua volta riflette la terra. E’ giusto, è il tuo orologio, quella lamina luccicante che sembra uno specchio? E poi il Tricolore visto lassù, lassù, appiccicato alla spalla della tuta che hai fatto così fatica ad indossare, fa il suo effetto. Il suo bell’effetto ! Continuo a seguirvi con crescente stupore e meraviglia! ps: salutaci anche gli altri compagni di viaggio lassù. Thank you so much for this. Inspirational writing which I will share with science students. Great Job! Thnx for sharing. Your tweets and fotos are great and also your blog. Keep on so! Best wishes from VLC, Spain! Keep up your good work Luca!!! Grazie per condividere con noi queste meravigliose esperienze!!!! I so enjoyed reading about your experience, especially on the Canada Arm. I supported NASA and worked with CSA, Sylvie Beland, on scheduling for the Arm and the MBS. You are an excellent writer. You made me, the reader, feel part of your space walk. What does it mean the acronymous EVA? Many thanks Luca! Dear Luca, your wrote story is so exciting! 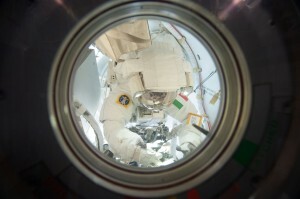 I am glad to know about yours and Cris Space walking-working trip! Thanks to God and naturally to your both that all went very good! The same time I wanted to say to Karen-you helped the men quickly and professionally! We all worried about you and this work what you must did in this time!You are all the best-crew 35/36 and the others, who instructed you from NASA!I and my family are proud from you! We will wait about you and Space Station news and photos every time. Be happy always! Seguo il settore aerospaziale da parecchi anni e sapere che a bordo della ISS c’è un astronauta italiano (paesano, anche se io sono calabrese, quindi vicino di casa hihi) è sempre una gioia infinita. Dal giorno del “lift-off” da Baikonur ho seguito giornalmente le attività con più passione e gioia. Ogni vostro passaggio sulle nostre teste è sempre un’emozione pazzesca. Luca quando passi su Roma??????? Leggo solo ora la descrizione della prima uscita nello spazio. Affascinante ed emozionante. Mi sembrava di eserci. Grazie maggiore. Buon rientro. Your work is INCREDIBILE Luca and your experiences!! Thanks for SHARE WITH US and MAKE A BETTER WORLD here FOR OUR MOTHER EARTH.